Chandigarh: Union Health Minister J P Nadda, Haryana Agriculture and Farmers’ Welfare Minister O P Dhankar along with AIIMS officials visited the newly constructed National Cancer Institute at Bhadsa in Jhajjar after the Institute was inaugurated by Prime Minister Narendra Modi through video conferencing from Kurukshetra. Giving details about the NCI, AIIMS Director Prof Randeep Guleria said that besides residence block, hospital block, OPD block, guest house, educational block, administration block, research block, service block have been constructed in this Cancer Institute. 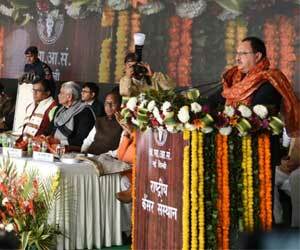 The institute has been constructed on about 60 acres at the cost of about Rs 2035 crore. After inauguration of this 710-bedded institute, in the first phase, hospital of 250 beds has been opened and in the second phase, that is by December this year, the bed capacity would be increased to 500 beds and in the third and last phase, that is December next year, the number of beds would be increased by 210 beds, which would take the total number of beds to 710. The requirement of about 3,000 Cancer Specialists for this 710-bedded hospital would be fulfilled by next year, he added. Prof Guleria said that in Residential Block, there are 216 2BHK accommodations, 34 3BHK and 16 4BHK accommodations and residential facility for 640 persons in hostel block. The Dining block has the capacity of 400 persons and there are 90 rooms in the guest house constructed on 7653 square yards. The guest house has cafeteria, gymnasium and seminar room. He informed Mr Nadda, Mr Dhankar that the NCI would lead in the role of prevention of cancer across the world. NCI has signed an MoU with the USA, Britain and France in the field of cancer treatment. He said that besides the treatment of cancer, there is also the need of research on a large scale. With NCI, India would be able to better contribute in the field of research for the prevention of cancer. The AIIMS Director said that NCI has facilities to treat 5 lakh cancer patients every year. The Institute is equipped with modern laboratories and machines. That included 25 Operation Theatres (O.T. ), two MRI scanners, four pat scanners, three breach therapy, five liner accelerator, first-time Proton treatment facility in Government Hospital of the country, 20 bedded Nuclear Medicine, 14 PI Labs, Oncology Emergency Facility, Asia’s First Robotic Lab, 60 ICU Beds, completely paperless ICS and OT system. He said that the institute has Asia’s first robotic core lab, where per day, 60,000 tests of over 100 types can be conducted. He said that once the blood sample of any patient is taken then the same can be used for any other report requirement of the doctor, the patient need not give blood sample again. The robotic machine has the ability to store up to 15,000 samples for 48 hours.